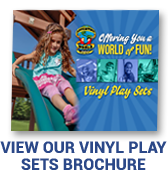 Click on each vinyl shed style below to learn more about prices, sizes, and standard features. Customize your colors, size and personal options in 3 Easy Steps to meet your needs. including a LIFETIME Limited Warranty on Vinyl Siding. 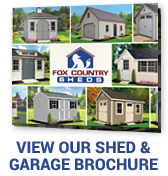 Click on each vinyl shed style above to learn more about standard features and options. Customize your colors, size and personal options to meet your needs in 3 Easy Steps! Not sure if you have access for delivery of a pre-assembled shed? Most of our sheds are available in shed kits - complete with everything you need (except tools & fasteners) to put your shed together yourself. Choose "assembled" or "kit" from our Shed Collection above.